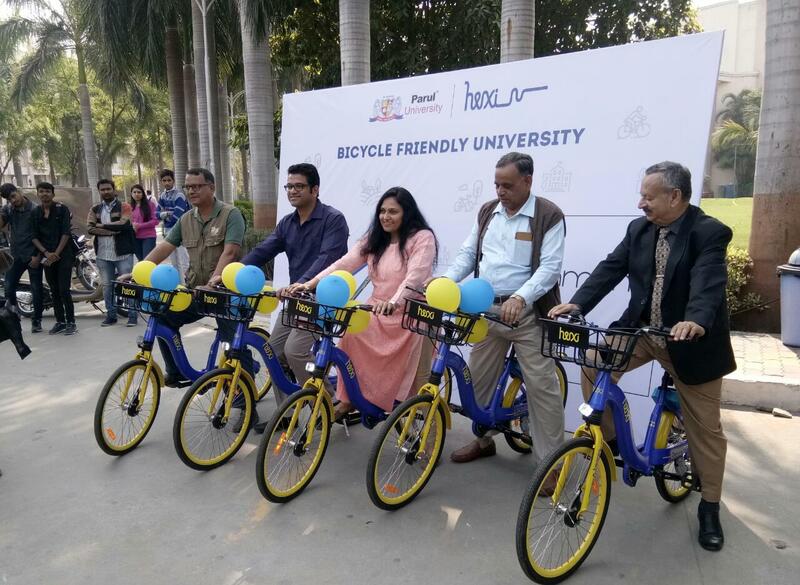 Now the students of Parul University can learn with fitness as the campus becomes Bicycle friendly for them. Launching its own campus cycling system which give the students a option to rent a bicycle to move inside the university between their lectures and keep themselves fit. 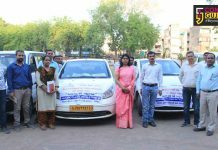 Parul University in collaboration with Hexi launched the initiative on Monday. Hexi mobility is a private company providing short distance transportation solutions across the nation and now expanding its venture in the university. Students can rent the cycles as per their usage at low cost and promote health and environment inside the campus. “The initiative was taken in view of spreading awareness towards health and environment care. 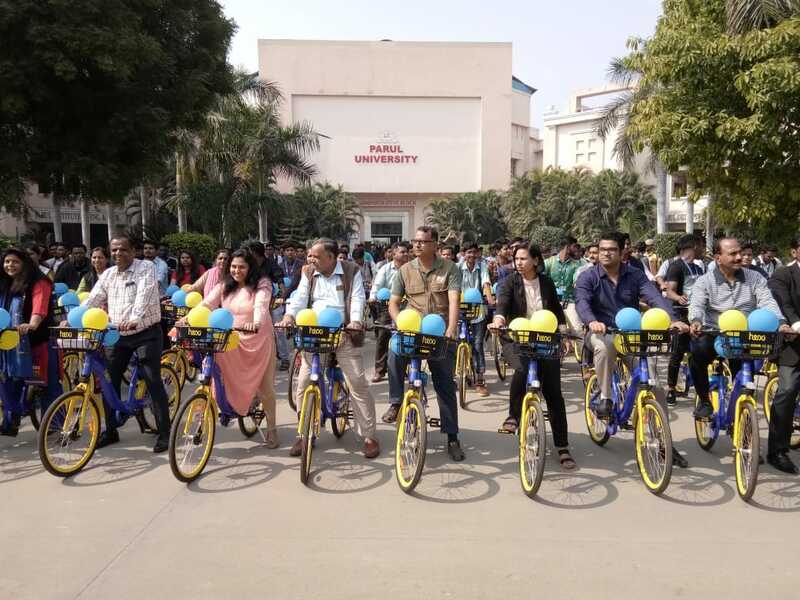 The university introduced 100 such Hexi cycles in the campus as part of the step towards clean environment. 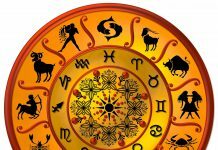 The cycles can be taken on rent by the students at low cost through online application on daily, weekly, monthly and yearly basis. 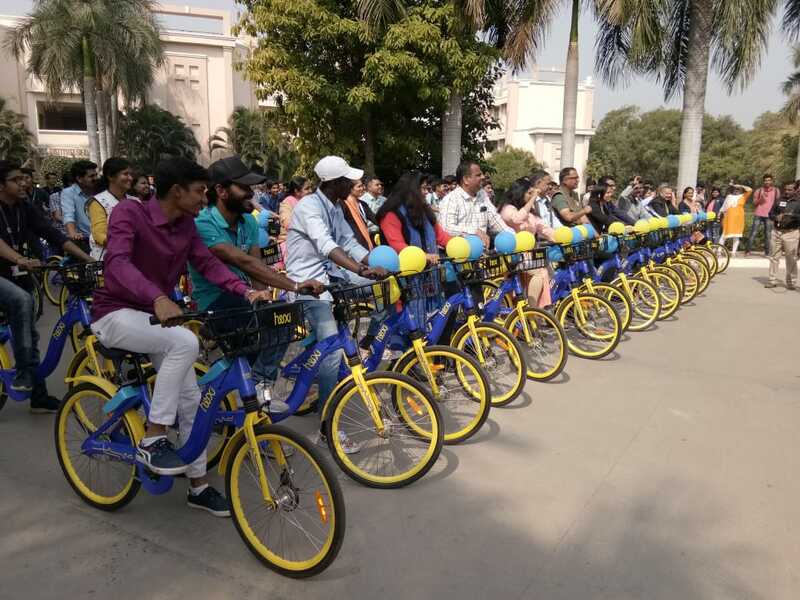 There will be four stands for the cycles and base on the usage we will increase the number of them in future,” said Devanshu Patel Director Parul University. 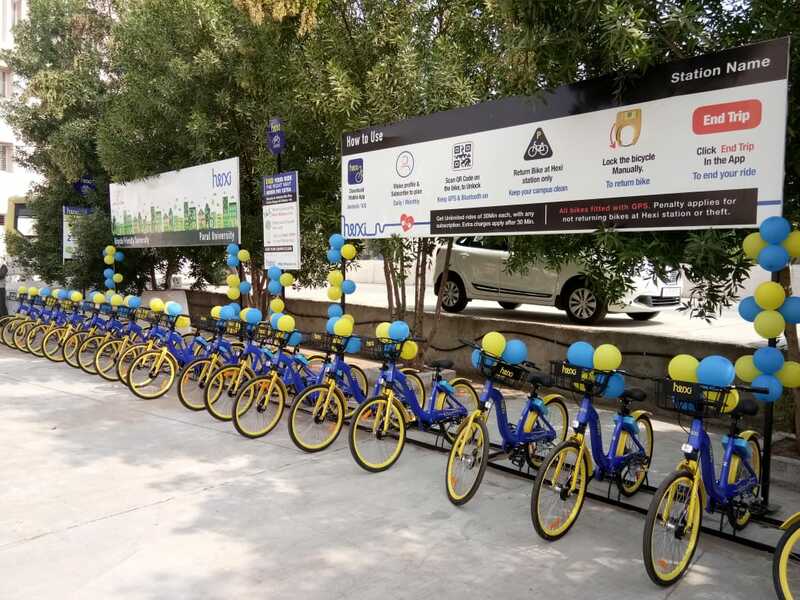 The environment friendly bicycles feature a unique feature of inbuilt GPS tracking system to ensure the safety of students. It also carries a smart lock system, adjustable saddles, study basket and puncture proof tyres. The feature of smart QR code on the bicycle allows students to scan and unlock it using their Hexi accountfor a nominal online payment trough digital wallet or credit card. The step is to minimise the use of conventional vehicles and promote health. The Hexi ports are already been set up and work already begun to enhancing the cycle tracks in the campus. In coming days the number of bicycles will increase as per students demand.